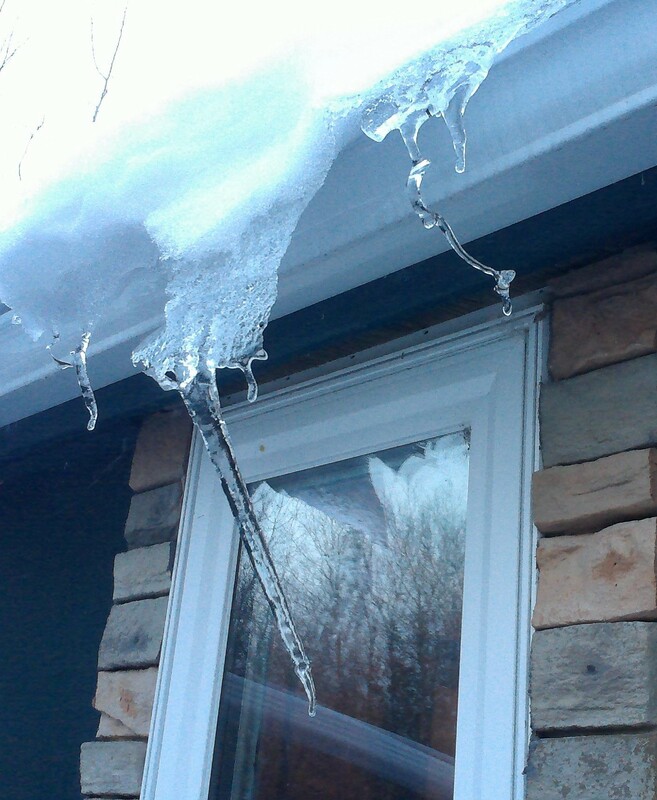 Wind-blown icicles. I love how their reflection in the window looks like mountains. There are no mountains where I live, here on the Prairies.